Spring Composition With Pink Flowers And Gift Box On Blue Table Top View. Greeting Card For Birthday, Woman Or Mothers Day. Flat Lay. Lizenzfreie Fotos, Bilder Und Stock Fotografie. Image 92849739. 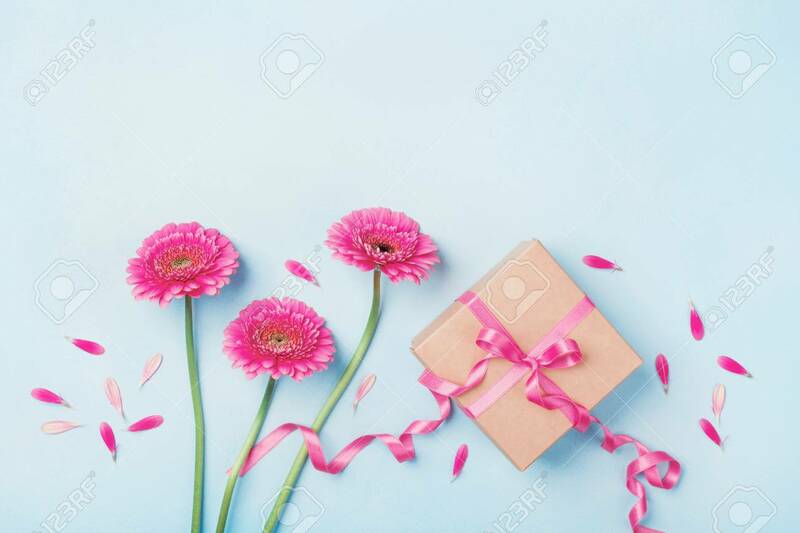 Standard-Bild - Spring composition with pink flowers and gift box on blue table top view. Greeting card for Birthday, Woman or Mothers Day. Flat lay. Spring composition with pink flowers and gift box on blue table top view. Greeting card for Birthday, Woman or Mothers Day. Flat lay.